Going on a road trip with your kids will be exciting and daunting in equal measure if you have children to entertain for a long period of time. There is no reason to swerve the idea of traveling just because you have small children, all you need are some useful and valuable prep tips to see you through from start to finish. Here is a look at some suggestions on how to keep your kids happy and entertained throughout the journey, including avoiding a dilemma by planning your route, a classic activity that always entertains, plus some games that involve all passengers and even educate at the same time. If something is going to get you stressed at some point in the journey other than the kids misbehaving it is the fact that you haven’t researched and planned your route, meaning you are having to try and focus on two issues at the same time. Check out your proposed route, put the details into your GPS system if you have one, and also have a backup plan of a printed map that you can refer to if you don’t know the route and you lose mobile communication. It might not be a suggestion that will keep the kids occupied or entertained, but you will be in a better place to focus on their needs if you have done your research and prepared for the trip. 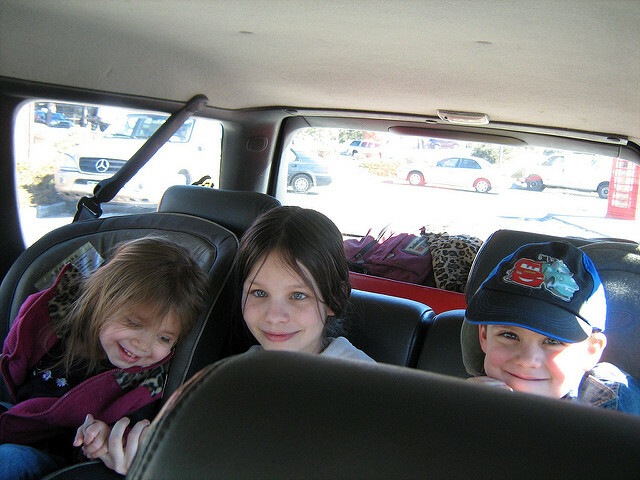 Loading the car up with toys and games can sometimes mean that there is barely enough room for all the passengers and it is never a good idea to overload the car from a safety point of view. All of these points can be tackled with a few well-chosen apps on your smartphone. For example, kids of all ages and adults for that matter too, all love the chance to tackle a coloring book. It might not be very practical to carry a box of crayons and coloring book in the car, but you don’t need to worry about that if you download mandala coloring pages on your smartphone. This app will help the hours pass with ease and keep everyone entertained and nicely relaxed with this enduringly popular activity. Road trip games like bingo are the perfect choice for a long journey as it can keep everyone involved and occupied for hours competing against each other. If you download an app like Road Trip Games or others like it, you should be able to play a version of car bingo and other similar activities that challenge you to spot all the different items on your bingo card and win the game when you have spotted them on your journey. If you have some slightly older kids riding with you a good game to play might be Geography Drive USA. It educates and entertains with some interesting facts and challenges you to look out for some famous landmarks along the way. The app covers all the states so there will be things to be learned and games to play that are relevant to wherever you are heading. Road trips don’t have to fill you with dread if you make plans to keep everyone happy and suitably entertained the whole time, which you can do with some well-chosen apps and other useful ideas.